Why have a philosophy of life? physics was more appropriately theology, the nature of the gods and their role, why the world exists, etc. we are also social animals, we have duties to our friends, family, community, etc. are we being governed by reason, or some young or primitive part? generally avoid people who are melancholy, complain a lot, etc. broadly defined: verbal abuse, snubbing someone, physical insults, status plays, etc. consider whether the insult is actually true – how is it insulting to be told a true fact? if it’s someone we don’t respect, then we probably don’t want to be doing things they approve of anyway! put the inconvenience into a grand perspective, e.g. will our grandchildren care about this slight? are the people we are trying to associate with getting out of life what we want to be getting out of life? not needing wealth is more valuable than wealth itself! the above can apply to fame as well as wealth, though be even more careful with enjoying fame! some things really are worth dying for – is life valuable if we don’t have such a cause? it also takes effort not to be a Stoic, energy lost in craving, seeking, etc. he also exposes himself to fear, of physical harm, of failure, etc. you have little to lose, but much to gain! even if you think they’re wrong about how and why we came to be, that doesn’t mean they didn’t settle on good values and good techniques! our evolutionary programming was good at past reproductive fitness, the environment is very different now, and it certainly is not maximizing for tranquility! much less to worry about: we live in a very safe environment, extremely unlikely to starve, being low status doesn’t actually preclude reproduction, etc. Does science offer the solution? we could just give everyone benzodiazepines, bariatric surgery, etc. Can we do better than Stoicism? 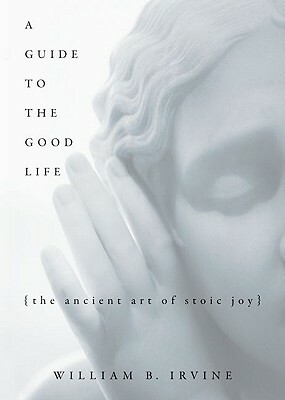 Stoicism is particularly good for analytical types! evidence of this is that most mainstream religious folks are indistinguishable outside their church, synagogue, etc. set out on a quest to study all the philosophies: Megarians, the Academy, et al. Thanks for writing this! “it is especially foolish to seek the approval of people whose values we reject” struck me particularly hard. (Although I think there’s an important corollary: the approval of people whose values we *accept* is a useful measuring tool.) I’ve added the book to my reading list. Just finished listening to this book. Awesome. And this summary really helped me to follow up with ideas. Nice one!